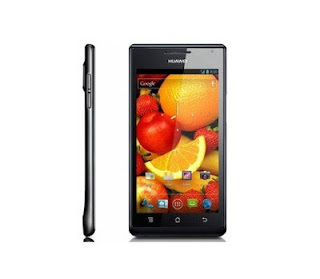 14/01/2013: Huawei to create an 8-core processor to rival Samsung and retake 'world's thinnest smartphone title! Apple cut component orders, but it's not the horror tale some are telling and much, much more! Huawei set to join Samsung's Octa-core party and retake 'world's thinnest smartphone' title! Huawei are causing quite a stir at the moment: not only are they offering a great line-up of phones, but they also seem to be going after the high-end as well and punching with the famous old big boys from Korea, Japan and America. So with Samsung's demonstration of ARM's big.LITTLE processor still fresh in our minds, Huawei's Richard Yu took to Engadget's CES stage one last time to dish the dirt on Huawei's plans for the future. Yes, Huawei will also being challenging Samsung in the octa-core department in the second half of this year, but we're not currently sure whether they will be using their own HiSilicon K3V3 chipset or whether it'll be a new one, either way Engadget says it will be made by TSMC. But, that's not all! During CES we saw Alcatel take away a title that Huawei claimed for the vast majority of last year, with their Ascend P1 (pictured above): 'the world's thinnest smartphone manufacturer' and now Huawei want it back. So keep your eyes peeled at MWC because a new device will be coming to Huawei's P series which will beat out Alcatel's brand new One Touch Idol Ultra! Yu also revealed that the device will come housed in a metal body, so not only will it be uber thin but with a little bit of luck it'll also be quite the looker too! 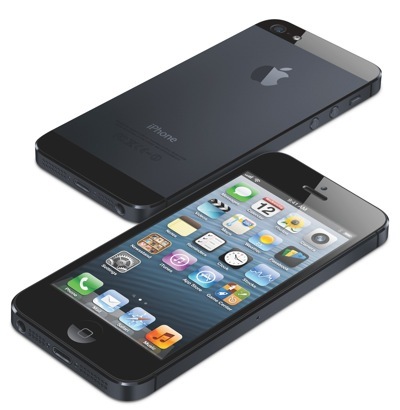 Apple cut orders for iPhone 5 parts in December, but it's not necessarily the bad news which is widely reported! Apple's iPhone 5 launch was received with a huge fanfare, they shipped over five million devices in the first weekend of the devices availability! But, it seems that of late things haven't been all plain sailing, after Apple reported asked "Japan Display Inc, Sharp Corp and South Korea's LG Display Co Ltd to roughly halve supplies of LCD panels from an initial plan for about 65 million screens in [the] January-March" period. This prompted Apple's shares to fall just over 4 percent to $498.20 at the close of play today, down from $520.30 on Friday evening on the Nasdaq, because of a report from the Wall Street Journal covering news which landed in December. Nonetheless, some analysts have said that there has been a 'weaker than expected demand' for the iPhone 5 and this may have something to do with the issue, but then again Apple sold record numbers on the first weekend of sales so we think it's quite likely that loyal customers picked their new devices up then, instead of throughout the year. The Wall Street Journal, however, explains that this might not be an issue of demand, like some people are making out. Instead, Apple may have over-compensated and made larger than normal orders for components immediately after the devices launch, because of the initial popularity and the "concerns about manufacturing difficulties with some components such as screens", an idea put forward by Sanford Bernstein analyst Alberto Moel. We're inclined to go along with this argument because Apple uses a lot of custom parts so it's in their interests to have too many than not enough! Either way, one of Japan Display's plants will likely have to reduce their output by up to 80% from their output between October and December, according to the Nikkei reports and Sharp's own facility which is solely dedicated to producing iPhone 5 LCD panels will lower production by around 40%. "In December, we reduced our iPhone 5 estimates by 5 million a quarter due to the 30% production cut being reported out of Asia. At that time, our analysts estimated that March quarter iPhone 5 production would be 25-30 million and 4/4S 3-5 million. How much of the reduction was a result of inventory rebalancing vs. lower demand was unclear, but the cut was greater than seasonal so we took the conservative route." So yes there has been a cut in orders and we're not sure why this is, but at the moment it's not a cause for concern and neither Apple or their suppliers has come forward to offer an explanation, but Apple's Q4 earnings report will be in soon and that will probably clear up the situation! Via Reuters, WallStreetJournal and Forbes. Baidu and France Telecom have teamed up on a new mobile browser for emerging markets. The browser, which launched today, will hopefully help France Telecom's plans to satisfy the steady stream of people moving to 3G devices and Baidu wants to give this movement a little push along! The browser is available in English and Arabic and it is currently available for Android smartphones running on France Telecom's operator Mobinil in Egypt! We assume it is just this browser which will be pre-installed in phones, but we'll let you know if we hear more! RIM's shares jumped up as much as 11% today because of the excitement surrounding their BB10 release at the end of the month and the lack of competition from CES. The latter was expected, but it seems investors are a bit more confident BB10 can turn things around! The OS also saw 15,000 app submissions in the last 36 hours as developers were offered $100 per app submission and the promise of some BB10 hardware if you submitted a lot of apps! According to Anandtech Acer is readying a display with a resolution of 2880x1620 pixels. The 15.6" (ish) screen will basically be a challenger to Apple's QWXGA+ display, but instead of having Apple's 16:10 aspect ratio it will employ the 16:9 ratio instead. Thankfully it's not just a race for pixels, the display will be IPS and apparently it is a very good offering! We look forward to seeing it in a laptop near you soon! AppStats have published some research showing that Instagram lost more than half of it's users recently, probably something to do with the whole 'policy change issue', but there hasn't been much of a resurgence! Facebook on the other hand is reported to have lost over 600,000 users in December if you believe the Guardian! Samsung's Galaxy S range and it's three phones has now shipped over 100million devices! 40 million of those are Galaxy S3's and we expect by this time next year the company will hit 150million if the Galaxy S4 turns out to be everything it's cracked up to be! And finally, the lovely little tablet pictured below is the Asus MemoPad (Forgive us for not capitalising it in the right places!). 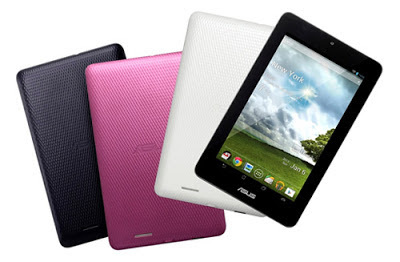 It's a 7" tablet designed to compete with Acer's new Iconia B1-A71! So on the inside you've got Android 4.1 Jelly Bean, a 1GHz VIA WM8950 CPU with a Mali-400 GPU, 8 or 16GB of internal storage, 5GB of Asus WebStorage, 1GB of RAM and a 1MP front-facing camera which can manage 720p video! You'll have your normal range of connections, although there's not infrared port on this guy! On the outside you have a 10-point multi-touch LED-backlit display with 1024 x 600 resolution, 140-degree viewing angles, which can also manage 350-nit brightness. The whole thing will run for about 7hours on the 4270mAh battery. The RRP is $149 USD so it will be very much a budget device!